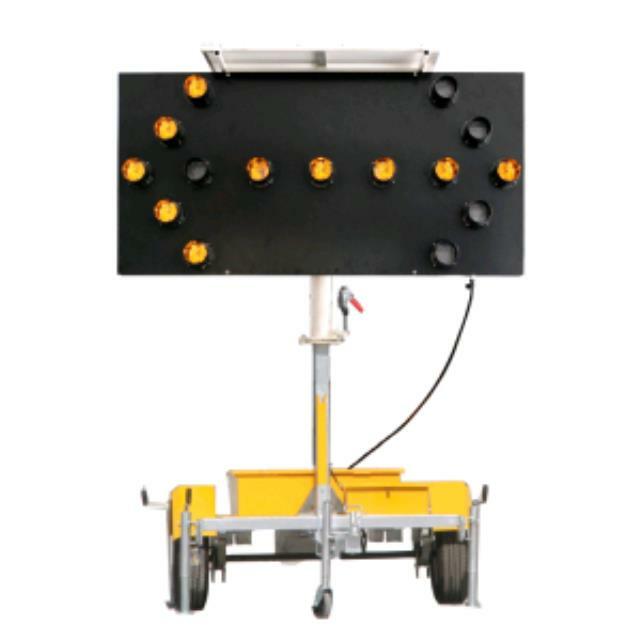 Trailer mounted directional arrow board used for traffic management. Can also be used for construction site, event and shopping centre traffic management. Solar powered and easy to use and operate. * Please call us for any questions on our arrow board hire & rentals, serving Perth & Western Australia.